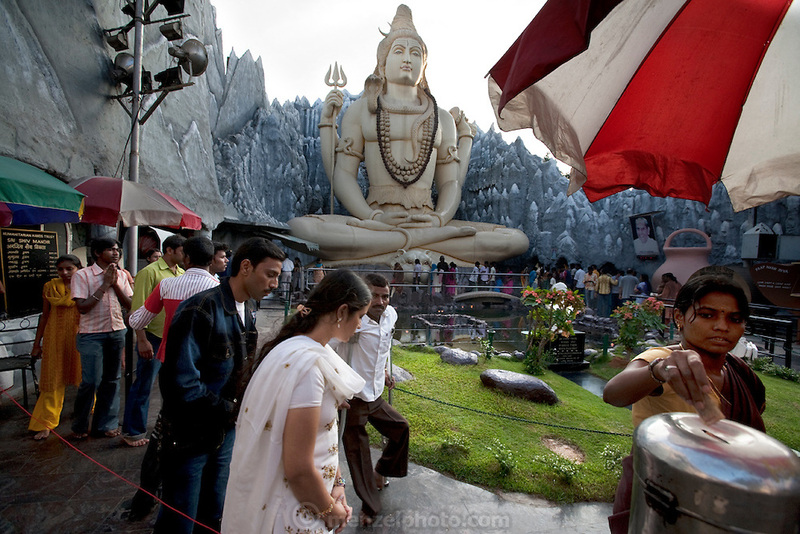 Visitors wait for their turn to enter the Shiva Temple, which is built into the Kid's Kemp Shopping Mall on Old Airport Road in Bangalore, India. (From the book What I Eat: Around the World in 80 Diets.) The 65-foot plaster statue of Lord Shiva sits in a lotus position before an amusement park-style Himalayan mountain-scape built of chicken wire and cement. This free popular attraction at the Kids Kemp shopping mall draws nearly 500,000 devotees on festival days.